I’ve never been one of those people who lose a ton of weight when I’m stressed out. I have many friends that just “can’t eat” when things get rough. Ahem, that is not me. On any day. When I’m stressed, sad, happy, excited, or even when I’m sick…I eat. Three years ago I started down a road where I guess I lost all accountability. But, of course, there were reasons (at least that is what I was telling myself): I got pregnant, I had a baby, my baby turned one (lord help me), my dad was diagnosed with lung cancer, my 16-year-old dog was dying, my kid turned two (I’m know I’m starting to lose the “I had a baby” excuse, but go with it), I had to put my dog to sleep, I had a brand new job and new stress that came with it, my house is on the market, and my Dad died. Now don’t get me wrong, I didn’t eat my face off during this entire time, but I did start to lose count. I stopped thinking that a cocktail + bowl of cheese dip + the chips my kid left on his plate + the spoon I just licked + the crumbs I just emptied in my mouth from a napkin = a ton of calories. And let’s face it: There were so many things going on that felt uncontrollable, I just figured that this food/health/weight thing was as well. I honestly didn’t have the head space for it. But then I started thinking about ways to take back control and decided to just get on a “program” to help me transition over to the mindful side (yes, while clutching to the indulgent side). I joined online Weight Watchers. Yeah, I know. It is a very odd thing for me to do. Since joining a week and a half ago (you better bet I’m counting), I have been absolutely floored by the amount of food I’m used to putting in my mouth without even thinking about it. You see, WW gives you daily points, weekly points (kind of like your bank of points when you go over each day), free points (vegetables/fruit), and activity points. I flew through my daily points by the end of lunch on the first day and squandered my entire week of points in 2 days. It wasn’t looking good, but I”m proud to say I’ve been doing really good over the last week. What WW doesn’t tell you when they start showing Jennifer Hudson and Jessica Simpson all over the TV is that they definitely have a person following them around and responsible for calculating their points, looking up foods in the online app, sending text messages to tell them how many hours they have to stay on the treadmill to make up for the margarita they just had, looking for recipes, planning menus, grocery shopping, typing things in, checking their points throughout the day, and so on. Folks, this is a full time job as far as I’m concerned. I wish you could see my google history: “best WW bread for less points,” “best food blogs using ww points without too many processed foods,” “WW and whole foods,” “how many points does a vodka soda have?” Oooops. Did I just write that? Well, of COURSE I did. Would you like to know how many points you earn walking 3 miles? FOUR. Would you like to know how many points a 5 ounce glass of red wine is? FOUR. I mean, is this even for real? Unfortunately, yes it is. But see WW has it figured out. I haven’t exercised in forever. I mean, I’d walk sporadically, but I wasn’t on a “routine” of any sort. Now? Well, heck yeah…I have to walk 3 miles to have a glass of red wine at night. WW has me figured out big time. I’ve tried to walk almost every day just to build in some points for cheese dip — which would probably take me 2 weeks to build up enough to eat one teaspoon. I kid, I kid. Well, not really. What I really want to know is how many dang activity points I’m earning by doing all this WW research/calculating/entering on this app? The cool thing is I’ve found some really good food blogs that feature recipes that work in the WW point system. At first I was weary. I mean, I’m the one featuring Barefoot Contessa recipes on a regular basis and I can’t even begin to imagine the points I racked up with those bad boys. I settled on the following blog: www.skinnytaste.com. I made three of her recipes this week and they were absolutely delicious. My husband was super surprised and hasn’t stopped talking about the cauliflower tots I made. Bottom line? I’m not suffering. I’m not even miserable. I’m actually enjoying the recipes a lot. I’m enjoying the control I’m gaining back. 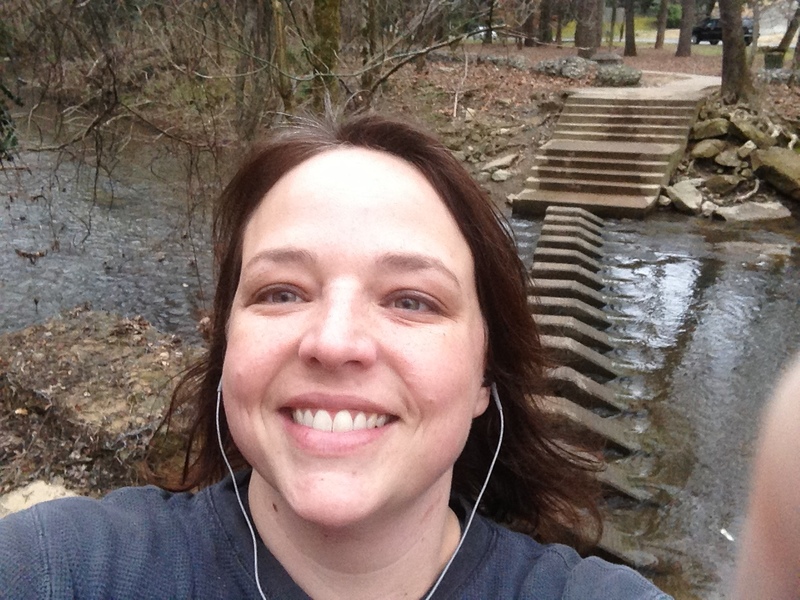 I’m enjoying the exercise too — it allows me to process and move the energy in a more positive way. No worries: I won’t stay like this forever. Those of you who know me should have already predicted this two paragraphs ago. But, I do plan to stick with it for a while just to get back on track. Below you will find some of the recipes/dinners I made this week. I encourage you– whether or not you are counting stupid points or not– to try them. I’ll be making them again even when I’m off point system! 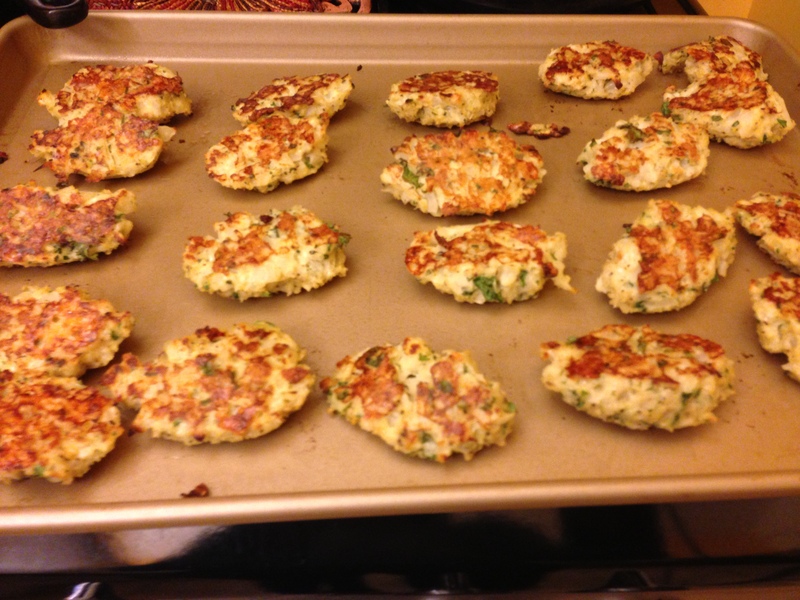 First up: Skinnytaste’s Cauliflower Tots: Be sure to click on the titles for the link to the recipe. We snacked on these all week. 8 tots = 4 points. I only ate two each night with my dinners and felt just fine about that. 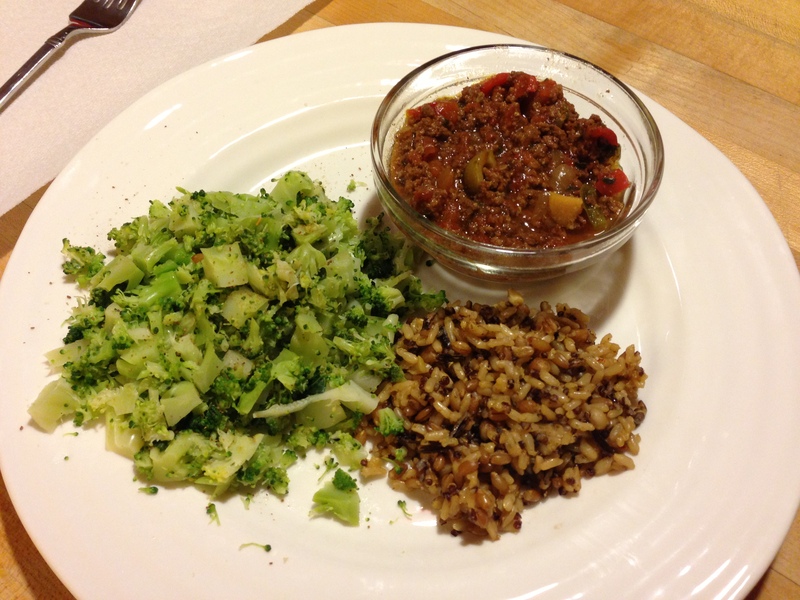 Next up: Skinnytaste’s Crock Pot Picadillo: I love a green olive, so this was right up my alley. I found it to be a tad bit salty (this coming from Mrs. Salt Lick herself), so just be mindful of how much salt you add through the process. I served this up in 1/2 cup servings and ate it over some brown rice (1/2 cup). Add some broccoli and cauliflower tots on the side and you’ve got a satisfying meal. Everything on the plate = 8 points. 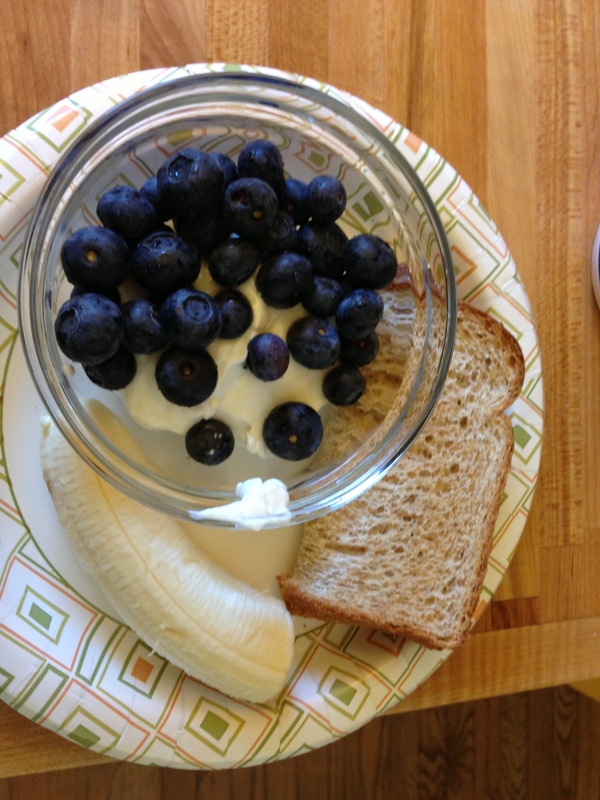 Then there are those days where you are like, “Um, where’s the other part of my sandwich?” This was one of those lunches: half a peanut butter sandwich, greek yogurt, blueberries, and 1/2 banana = 5 points. I think I ended up scrounging desperately for a reduced fat cheddar stick after this lunch. Actually, I’m positive that happened. That was a rough day. 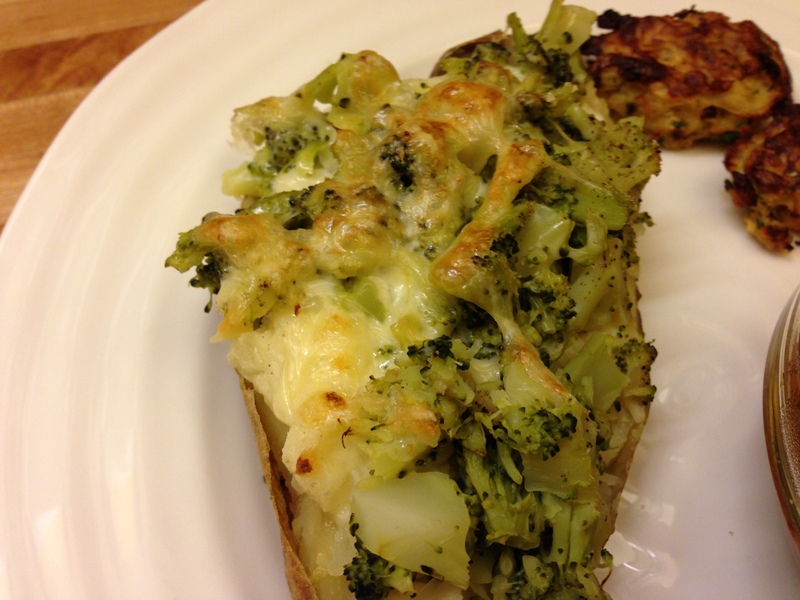 Then the clouds parted and I found this Broccoli and Cheese Twice Baked Potatoes amazingness on Skinnytaste’s blog. Y’all, HALF of a potato = 3 points. This is like hitting the WW jackpot. Husband couldn’t get over them. Who am I kidding? I think I practically licked the potato skin when all was said and done. Don’t get me wrong. This hasn’t been the easiest transition for me. I have had some really rough moments. Yes, that was probably my stomach growling in that meeting. Yes, that was me huffing and puffing that last mile. Yes, that was me desperately dreaming of a bag of Vinegar & Salt potato chips. But, right now I’m feeling like this is the right time for me to be doing all of this. I’ll keep y’all updated as I go and if you are a WW person, I hope my menus/recipes are helpful to you. Now if I can just borrow Jessica Simpson and Jennifer Hudson’s WW Assistant, Chef, and bank accounts, I’d be well on my way. Great post! I did WW a few years ago, and if is really a great program. My problems were: my phone would flake out at home or at work and I ended up having to make paper notes and enter points later, which was super annoying. Also, I cook a lot, and I’m too lazy to type in all my recipes and let the website work it’s magic. It’s great, though, and I look forward to trying some of these recipes. Please message me if you need any kind of virtual “you can do it!” High five action. I’m so proud of you and will have to get on your train soon. Way to go and way to write! Not the easiest thing to do, Becky. I’m trying. Wishing you luck too! Sub cauliflower for potatoes for a faux creamed potatoes recipe. Tastes great and uses almost no points. Also, I’ve started tracking by starting my tracking day with dinner. So dinner is tracked as breakfast, breakfast as lunch, and lunch as dinner. For me this is easier to follow since it is much easier for me to cut back on breakfast and lunch points than dinner points. So far, so good. If you track on line, you can forward to the next day’s tracker to start the day with dinner as “breakfast”. Great advice, Cheryl! Thank you!